← A Chance to Win to a Set of Letraset Markers! 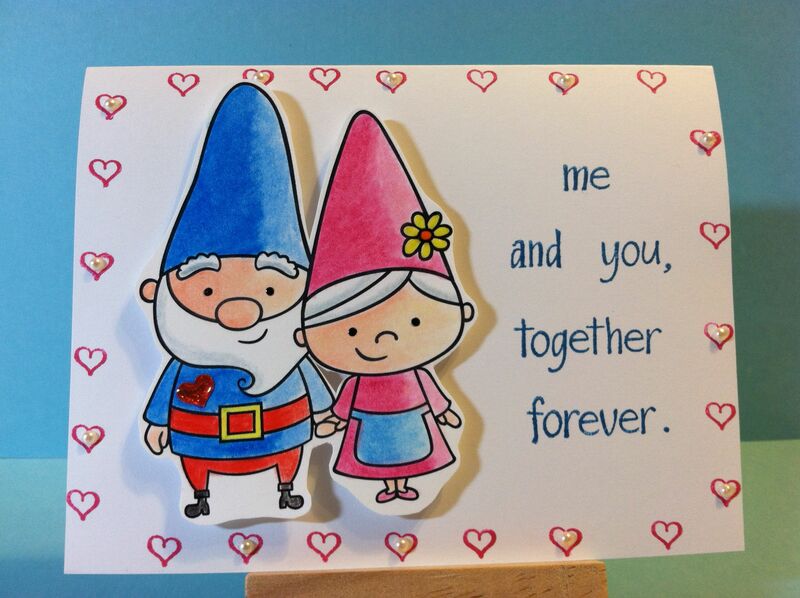 To Gnome You is to Love You! 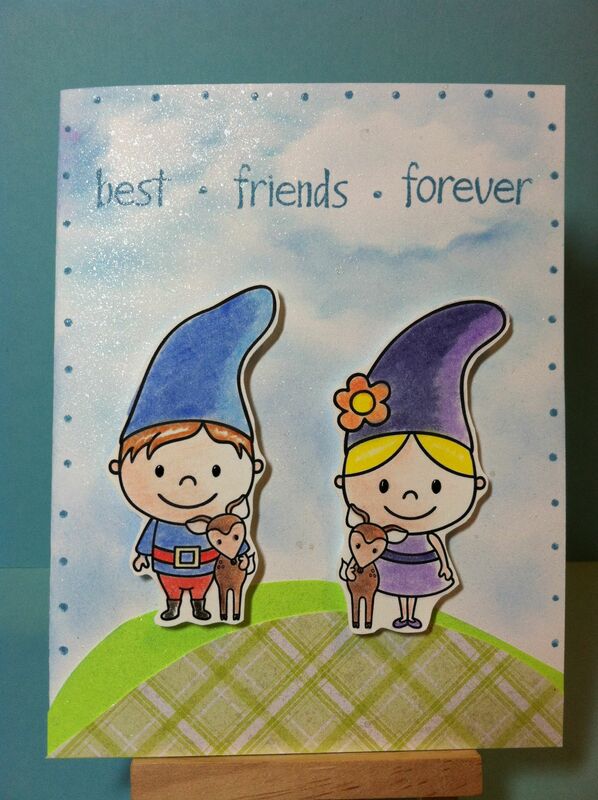 I duplicated the baby gnome digital stamp from Pink Cat Studio for this card. 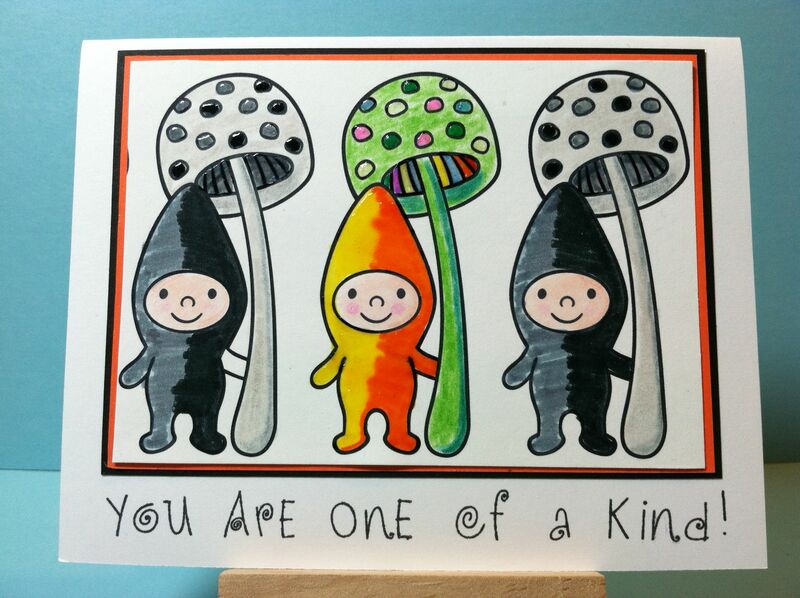 I wanted one gnome to stand out from the rest because the inside sentiment reads, “You’re One of a Kind”. The orange gnome is also the only one covered with Glossy Accents so he is nice and shiny. This is an older version of the card above. You can tell that I colored this one before I got my Copic Markers! Stamp markers just don’t blend very well. These two are dear friends. And they are friends with deer too! I used the same sponging technique as above to make the clouds and I used Smooch Spritz Vanilla Shimmer to give the whole background a bit of sparkle! This card is my favorite of the bunch. No matter how much I try, I can’t seem to move away from clean and simple cards. I craft like I live my life; straight forward and without a lot of fluff. However, I do like a little bit of bling now and again so I added some little pearls to every other heart. 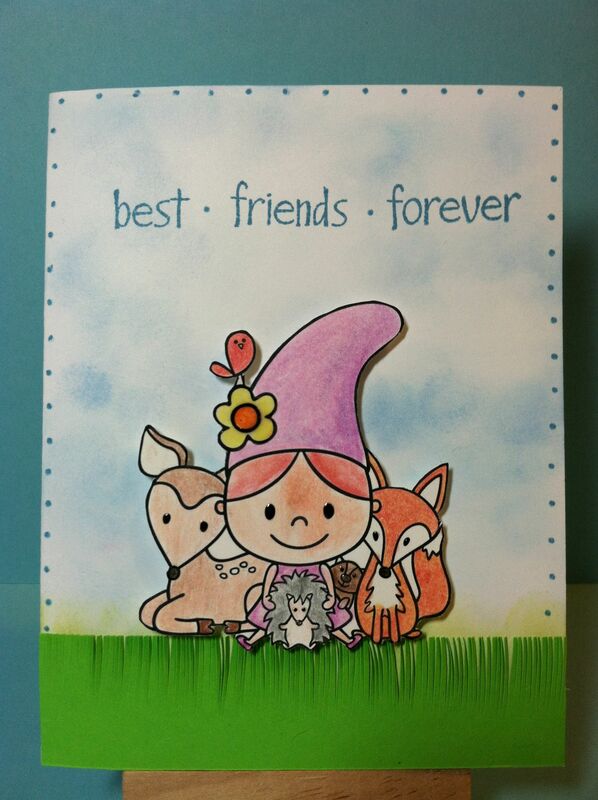 Posted in Any Occasion and tagged digital stamps, pink cat studios. Bookmark the permalink. Awe…. so cute!! Love the grass and colouring. Thanks, Carolyn. 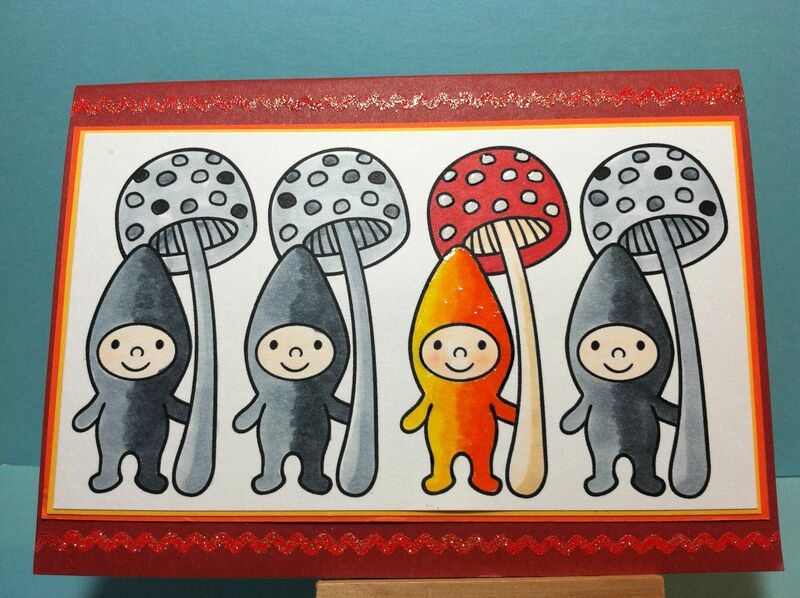 I get all geeked up about making cute cards. 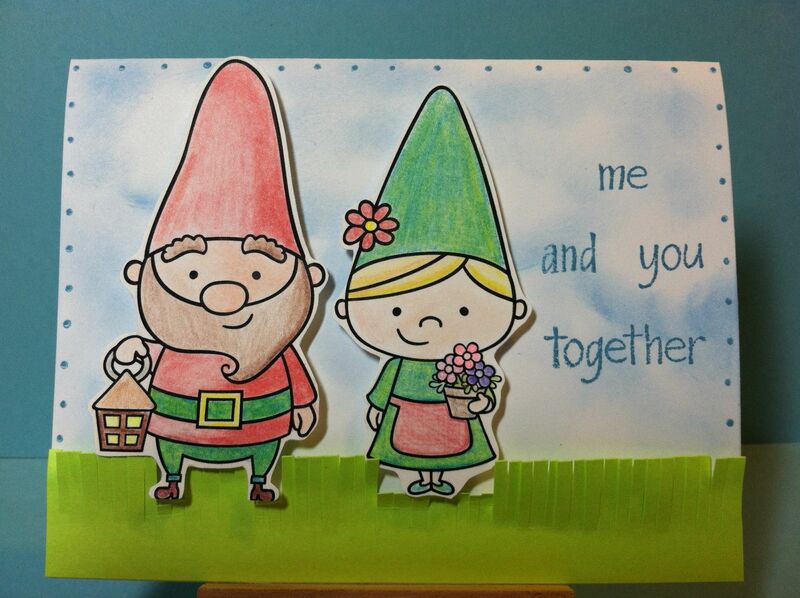 Fabulous gnome cards, love them all! Thank you for all your lovely comments you left me a few weeks back, sorry it has taken me so long to pop over! I’m glad you liked my cards and that you could stop by. Blog hopping is always an inspiration for me!